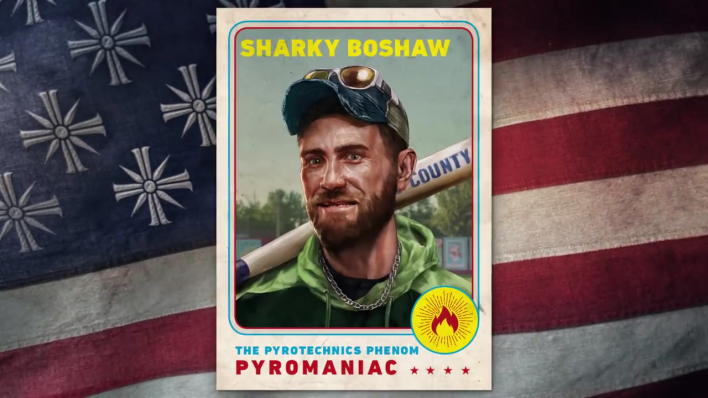 Far Cry 5 has a brand-new character trailer that details all seven of the game’s mercenary companions. Based on individual missions and the strategies within, here’s a quick recap of each character and their unique abilities. Light ‘Em Up: You want a strafing run? Look out. Bombs Away: You want a bomb? He’ll drop it. Concealment: Enemies have a harder time detecting her. Feral Friendly: Wild animals see her as one of their own. 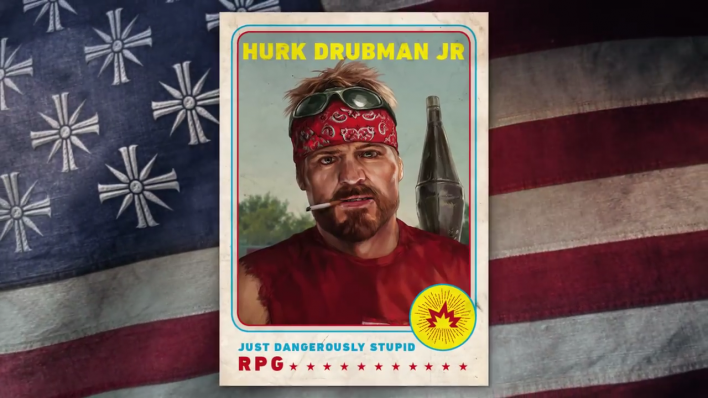 Junk It: RPGs on vehicles are more destructive. Heat Seeker: RPGs will track air and land vehicles. Call A Chopper: When called on, will deliver a helicopter. Fire It Up: Attacks will have an extra spark to them. Friendly Sight: Her laser sight is easier to distinguish. Boom Boom: Her sniper shots will scare enemies. Calling back to the various helper characters of games like Metal Gear Solid V, players will make use of different mercenary combinations to handle the task ahead of them. If there’s a mission that requires full firepower, for example, Hurk or Sharky sound like they’d make a pretty fantastic choice. 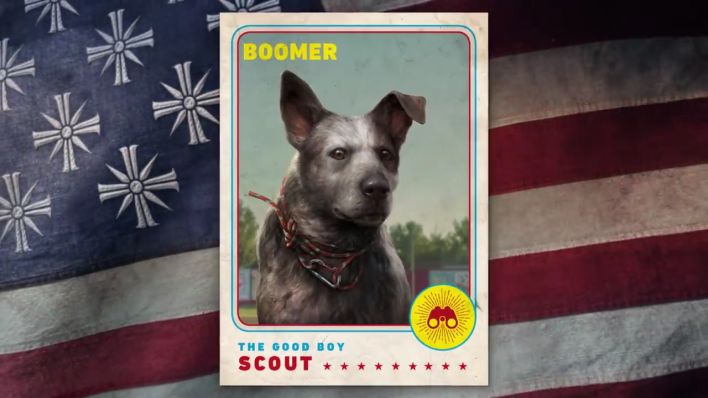 If stealth is your goal, you might be better off to receive help from Jess or Boomer. 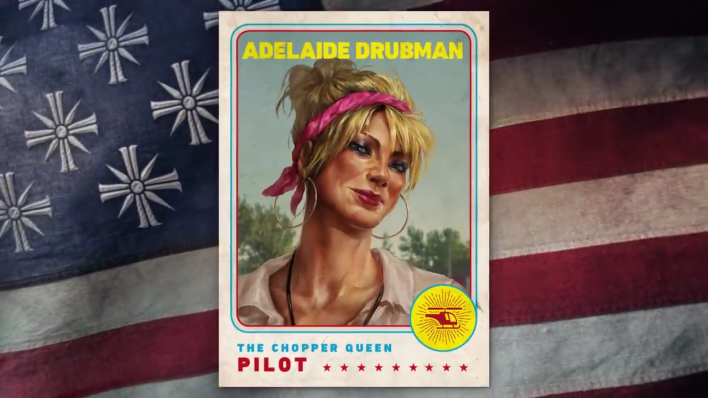 If you’re feeling totally unsure, having Adelaide’s helicopter on reserve sounds like a solid idea. Because you’re only able to select one mercenary at a time, the decision you make has a drastic impact on each individual approach. 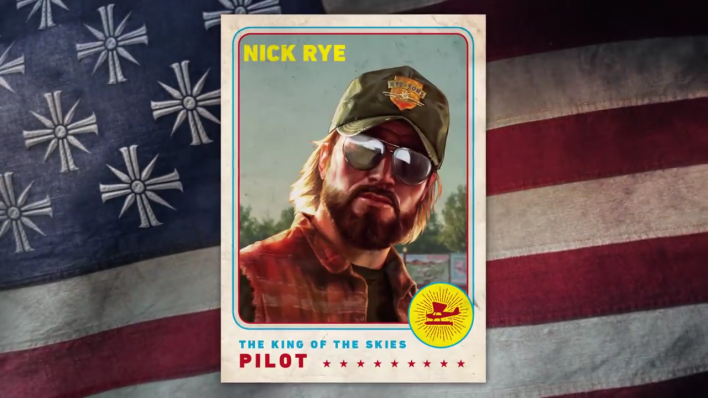 Far Cry 5 ’s character trailer arrives about a week after the bone-chilling story trailer that offered a deep dive into the measured metal chaos of Joseph Seed and his Eden’s Gate cult. After years of abuse, senseless death and religious oppression, it’s this squad of above-mentioned heroes that will help put all misery to rest. In true Far Cry fashion, peace will be restored by any means necessary. 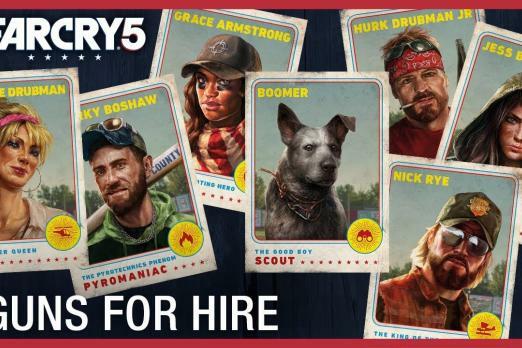 Far Cry 5 comes to PS4, Xbox One and PC March 27. Click here for more details about the game’s insanely unique season pass. 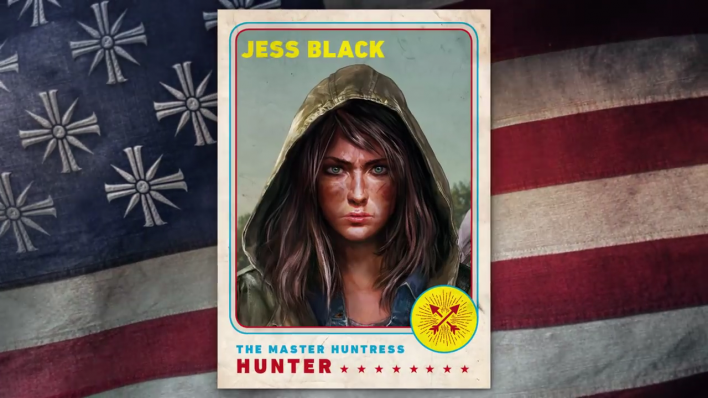 Does this character trailer make you more excited to play Far Cry 5? Which mercenary will you take on your missions? Tell us in the comments section!